Generate totally customized spiral stairs with only a few clicks. 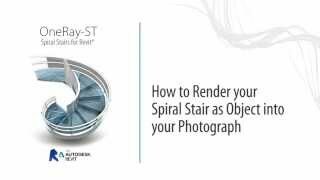 Assign materials and generate the renderings of your spiral stairs. 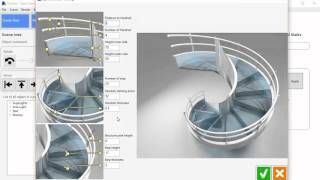 Automatically import your customized spiral stairs into Revit with one click. Revit Family for spiral stairs creation included in the App.